After trying batch after delicious batch of Barrell Bourbon, I finally had the chance to meet its founder, Joe Beatrice, and Master Distiller Tripp Stimson. During this year’s New Orleans Bourbon Festival, we talked about Barrell Bourbon Batch 015, among other things. After tasting initial blends, the duo would figure out what’s missing and try to find that in their existing stock of barrels. They were initially looking to make Batch 015 a larger batch than previous ones, but they couldn’t keep that precise flavor profile if they went larger. Quality over quantity indeed. Batch 015 is nine and a half years old, bottled at 107.6 proof. Barrels come from Tennessee and Kentucky. The nose is full of ripe fruit, as well as baking spice, caramel and toasted oak notes. Upon first sip, that Juicy Fruit character that Joe mentions is evident. Lots of sweet and ripe apples, peaches and cherries upfront. There is a rich caramel base underneath. Cutting through is a bit of oak spice and burnt orange peel. Lovely. The medium length finish leaves a touch of sweet fruit, leather and spice. We have another wonderful batch of Barrell Bourbon. It’s probably the fruitiest one they’ve released. It still remains nicely balanced, with those oak and spice notes keeping the sweeter and fruitier notes in check. 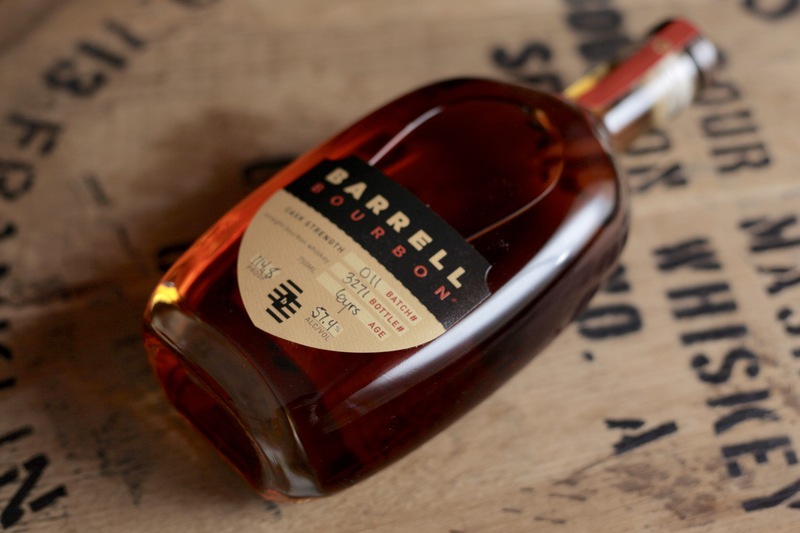 Gaining a larger following with each batch, Barrell Craft Spirits has released their latest bourbon. Batch 011 is a six-year-old bourbon distilled in Tennessee. Like previous releases, Batch 011 is bottled at cask strength. In this case 57.4%, or 114.8 proof. The mash bill for this one is 70% corn, 25% rye, and 5% malted barley. The high amount of rye should provide a bit of extra spice. Let’s see how it fares. The nose kicks things off with spices (cinnamon, allspice, cloves) thanks to the rye grain, followed by thick caramel. A little airtime develops a bit of sweet corn, along with a buttery dough that reminds me of unbaked cinnamon rolls. The entry is a little hot, with initial notes of light caramel and slightly sharp rye spice. There’s a little development beyond that, with hints of cinnamon candy and some herbs emerging. The finish is chest-warming, and surprisingly clean, with just a short burst of light brown sugar and cinnamon. Thanks to Barrell Bourbon for the sample! As always, all thoughts and opinions are my own.